"THE Bogo city government is asking the Cebu Ports Authority to help fund the expansion of the Polambato Roll-on and Roll-off Port as part of efforts to spur economic growth. The city government trying to carve out a ‘business district’ out of vast sugarcane fields in barangay Cayang. This will be completed in December or early January next year, said Mayor Celestino “Junie” Martinez, Jr, during the 888 News Forum held offsite in the northern city yesterday. The site will also host Bogo’s new City Hall and will have an entertainment area." visit Cebu Daily News for full story. 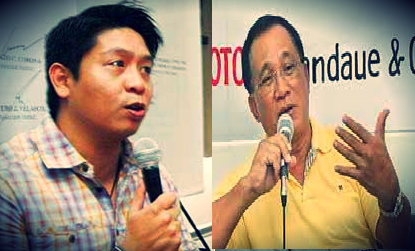 It is Round 3 in the 4th District of Cebu. Former Bogo City mayor Celestino "Tining" Martinez III of the Liberal Party is running again against Rep. Benhur Salimbangon of One Cebu party. Tining was declared winner in 2007 election only a month before the 2010 elections, when he first ran against Salimbangon. Mayor Junie is running for the mayoralty post. He explained that he still has a lot of projects to be done in the City of Bogo. Either Mariquita Salimbangon-Yeung or her brother, Cesar Salimbangon, is reportedly running against Junie for the mayoralty post in Bogo City.